I started writing this piece before England’s premature exit from the tournament, as all types of old and new media merge built to a frenzy prior to last Thursday’s evening kick-off. 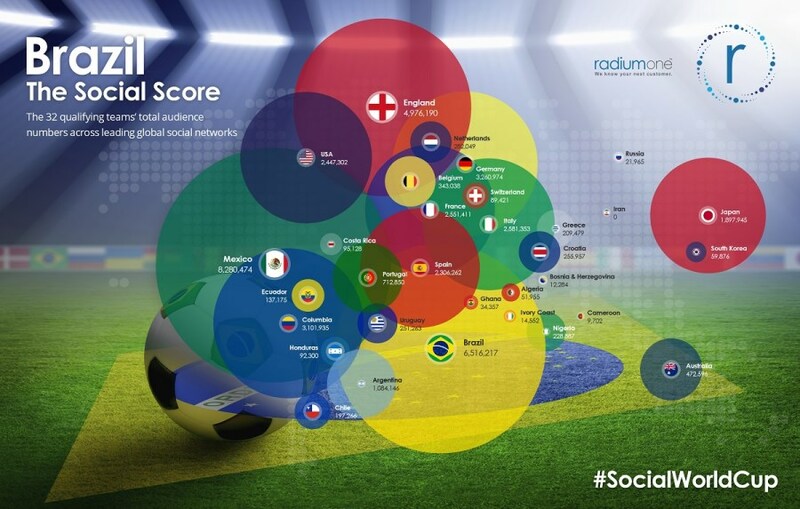 Despite the poor performance on the pitch, this is apparently the most socially-engaged sporting event in all of history, according to Adobe Digital Index projections, ahead of the last Olympics and the most recent Superbowl. But are there lessons we can learn as businesses from all of this? Everyone is talking about content marketing as one of the critical tools in any business armoury, but both teams and players are showing the value of constant, visual, engaging content that resonates with the audience and adds real value. Football is both blessed and sometimes cursed, with passionate fans and followers who are avid for information and interaction with like-minded enthusiasts. In many ways, driving this community with a shared passion is an easier task than some others may face, but focussing on common needs and desires and fuelling interaction and conversation is a valuable lesson for every brand. Interestingly during the tournament, communities are criss-crossing national and club boundaries as their favourite players from domestic teams pull on their national shirts. FIFA, the organising body of the World Cup may be under scrutiny in certain areas, but they have done a fantastic job ensuring website localisation for all nationalities playing within the tournament. This included facilities for any web user from any country taking part, to easily scan the site, translated into six key languages including blog posts, downloads and ads. Whilst your business may not have the global draw of the World Cup, there are some good lessons to be learnt from what is going on in Brazil -from having the best content & a well laid-out and relevant site, combined with the ability for ongoing social interaction and engagement. Now all we need is for England to re-build the team ahead of the next European Championships – maybe not such an easy task!